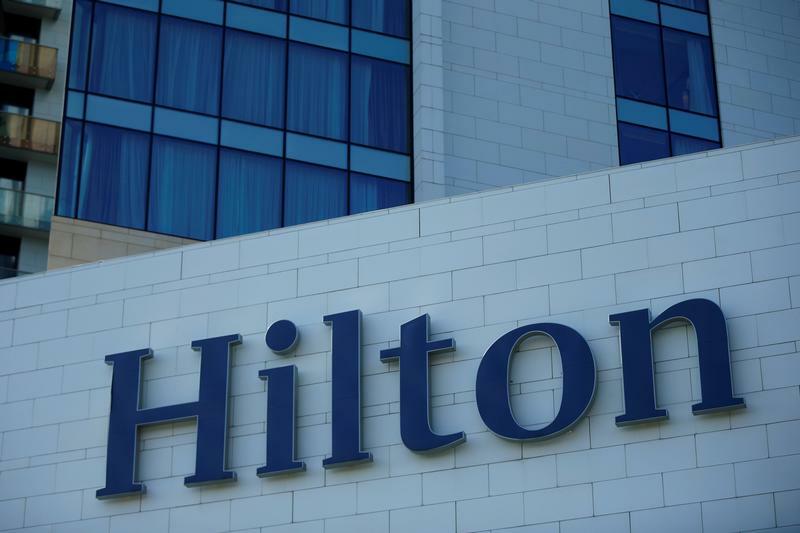 The logo of Hilton hotel is seen in Batumi, Georgia, May 2, 2016. China’s tourism regulator said on Nov. 15 that it was launching an investigation into hygiene at several five-star hotels in the country, following a video posted online that appears to show staff cleaning cups with dirty towels, among other misdemeanours. The video, which was uploaded by the internet celebrity “Huazong”, is said to feature international chains such as Hilton Worldwide Holdings Inc-owned Conrad Beijing and Waldorf Astoria, as well as Marriott International Inc’s Sheraton and Le Royal Meridien. Hotels including the Park Hyatt in Beijing, the Shangri-La in Fuzhou, and the Four Seasons in Shanghai issued apologies and vowed to improve service quality. The Mandarin Oriental hotel in the commercial hub of Shanghai vowed “it would not tolerate the inappropriate cleaning behaviour in guest rooms shown in the video”.